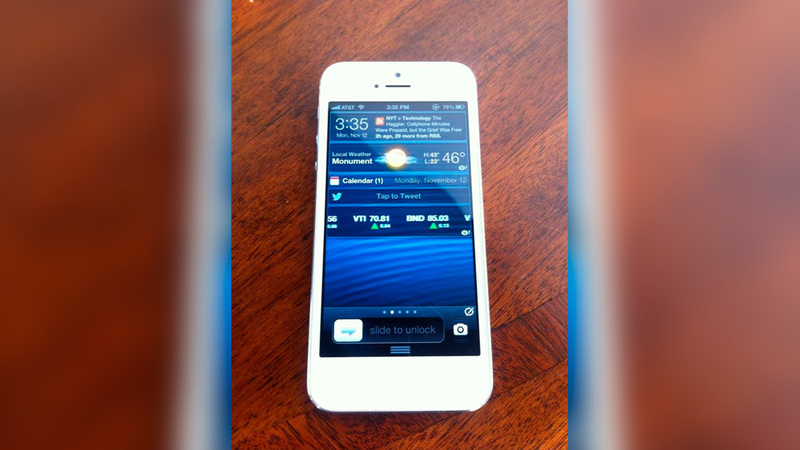 Now that iOS 6.1 has been released to the public, many have been wondering about the untethered iOS 6.1 jailbreak. Via @PlanetBeing, their previous exploits and vulnerabilities continue to work with today’s iOS release, so it’s only a matter of final testing and polishing for it to be released. Unfortunately, nobody outside of the @evad3rs know anything about the release. However, as hinted by @MuscleNerd, this Super Bowl Sunday could also be a “funday,” which the jailbreak scene hasn’t seen in quite a long time. This was then crushed by @PlanetBeing, who said that a Sunday release was “not necessarily going to happen. :P.” People are beginning to speculate its release, with most pulling for Sunday, with some saying that we’ll see it tonight, with even more pulling for everything in between. So, are you ready to prepare your device(s) for the long-awaited jailbreak? Below are a few tips to help do so. Typically, it’s recommended for you to jailbreak your device on a fresh installation of iOS. This means that all of your content will be wiped off, and you’ll have to manually get your settings, apps, and app settings back to the way they were. More on how to do a clean restore without losing anything can be found below. Without further ado, here are the direct download links to the various IPSW files for all iOS 6.1 devices, of which there are many. Making your way towards iOS 6.1 can be done in a number of different ways. With iOS 5 and beyond, we have the ability to do over-the-air (OTA) updates. Via @pimskeks, he says that if you’re going to update to iOS 6.1, as many will want to, it’s best to avoid doing an OTA update, and that you should instead do a full-on restore via iTunes. I, however, will not being restoring. Instead, I’ll simply be doing an update to iOS 6.1 via iTunes by shift+clicking (for Windows; ALT+clicking for Mac OS X) on the update button in iTunes, manually picking the IPSW file, and proceeding with the update. This, in theory, should provide no issues with the jailbreak. Once the jailbreak is released, I’ll be sure to let everyone know whether or not that this works via Twitter. You’re free to try a jailbreak by doing an OTA update, but you’ve been warned, as it might not work. By doing a fresh restore via iTunes, everything will be wiped away. So, if you have data that you don’t already have somewhere on your computer than you can transfer back to it, then simply do a device backup via iTunes. Afterwards, you can either click on the Restore button in iTunes, or do shift+click (Windows; ALT+click for Mac OS X) to restore to an IPSW file that you may already have on your computer. Not ALT or shift+clicking on that button will automatically have iTunes download the IPSW file, which would be a waste of time if you already have that file on your computer. The method above this one is purely for those who want to start from scratch without manually transferring their individual files or settings back. This method is for those who don’t mind starting from scratch and manually inputting their device settings, but would like for their application data to still be there. For example, if you have a saved game for an app that doesn’t have iCloud syncing, this method will allow you to manually backup the files for the game, restore your device in iTunes, and restore that data later on. To start, you’ll want to download and install either i-FunBox or iExplorer, both of which are free, and both of which are available for Mac OS X and Windows. These applications allow you to gain access to the data that’s used by your App Store applications, even without a jailbreak. Once you’re into one of those applications, you’ll want to make your way over to the Applications directory. You’ll then be greeted by all of your installed applications. Due to sandboxing, each application typically has its own Documents and Library folders. Then, within Library, you’ll usually find Preferences and Caches, or even some other folders. For each app, figure out which folder(s) has/have files within them. After that, simply copy the folders to your desktop. To keep things organized, you’ll probably want to put these within their own sub-folders, named by the app that you’re backing up. One thing to note is that, specifically for the Preferences folder inside of Library, don’t bother backing up .GlobalPreferences or com.apple.PeoplePicker.plist, as these are simply links to other files, and some desktop applications don’t properly back these up, so restoring them could potentially cause problems with your apps once you try to run them. After you’ve done your restore and have your applications installed, go ahead and launch i-FunBox or iExplorer, go to the same application directory, and drag the backed up folders from your computer into the program, replacing anything that might be there. After that, you application’s data will be restored. If you’re already jailbroken, you’ll probably want to have your same packages and sources on iOS 6.1 once you jailbreak it. While there are backup and restore solutions to backup your list of installed packages and sources, I’ve always found that the most efficient thing to do is to just make a plain-text list of my installed packages and Cydia sources and manually putting them back into Cydia afterwards. It might be a bit time consuming, depending on how many packages and sources you have, but it seems to be the most fail-proof method thus far. What about the settings for your tweaks? Most tweaks have settings files within /var/mobile/Library/Preferences, in which case they’re automatically backed up via iCloud and iTunes and will even be restored from a clean iOS installation, even if you aren’t jailbroken. Many new tweaks have other files and folders within the filesystem, in which case they may not be backed up. As I haven’t been jailbroken since I bought my iPhone 5 back in September, I don’t remember the more popular directories. You’ll have to use an on-device file browser, such as iFile, to browse your files to figure out where some things are located. I hope that you’ve found this post to be useful. If you have your own suggestions, feel free to leave them down below in the comments area. Don’t worry folks, the jailbreak is truly coming, and it’s coming soon. The long wait is almost over, so hang in there!